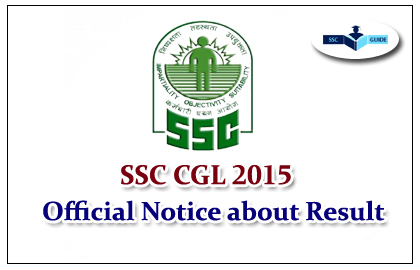 The tentative date for declaration of result of CGLE-2015 was earlier indicated by the Commission as 30th May 2016. However, due to some administrative reasons, declaration of the result is likely to take more time. Keeping in view the interest of the candidates, the Commission will try to declare the result at the earliest.